Azure is among the fastest growing and largest public cloud platforms in the world. The cloud is transforming how businesses consume IT today with consumption-based resources and services that can scale up or down as needed. Many businesses can now take advantage of scale that was previously cost-prohibitive. Getting the most out of their IT investments. Being prepared for the unexpected. Getting scalable storage without spending a fortune. Enabling remote access with protecting business data. Microsoft Azure is a flexible, open, and secure public cloud built for business. Access a broad collection of integrated services that accommodate many languages and operating systems. Use world-class tools to accelerate a wide variety of app development and delivery capabilities. AMTRA has designed One Three & Five-Day Azure Foundation Workshops to give your technical team the expertise they need to get the most of the cloud. AMTRA's Azure Foundation Workshops teaches in-depth, fundamental knowledge about the principles of cloud computing, including how these principles integrate with Azure. Through the workshop, we will evaluate the process of implementing the core Azure infrastructure, consisting of subscription, computing, virtual networks, and storage. With these foundation workshops, we will build a roadmap to address your business requirements. 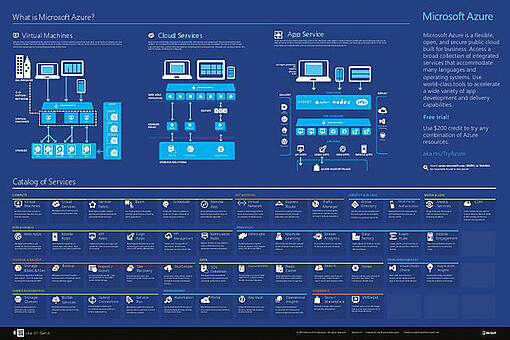 Basics of Azure Cloud fundamentals. Critical info on Azure to further your business with connecting to the Cloud. Broader and more in-depth expansion on our one day workshop. Plus, environment assessment & high-level roadmap. Everything from our three day workshop plus the depth to more fully understand your Hybrid Cloud environment, & migration of one of your workloads, overseen by our experts. Navigating the complexities of the expansive Microsoft Azure platform can be daunting. Moving and testing workloads and delivering the ongoing management required often exceeds the skills and/or bandwidth of our clients. That is why AMTRA has built a team of expert consultants to support you no matter where you are in your journey to leveraging the power of the Azure platform. Our clients have depended on us time and again to help them go from where they are to where they want to be. We pride ourselves on our ability to get the job done right, not matter what it takes. ARE YOU READY TO GET MORE FROM YOUR CLOUD INVESTMENTS? Don't wait a moment longer to sign up for our Azure Foundation Workshops. They were designed with our technical experts to help you get the most out of the cloud. Select the course depth that is right for you and sign up today!